E-commerce web design is a matter of creativity, art, skill, and finesse. Design of your online store can make or break sales. Since realizing this trend, it has become important to make vibrant and user-friendly shopping cart solutions. And with the rise of social and mobile commerce sites, your brand identity needs to reach online buyers through multiple channels. To develop an online marketplace, you need a focused & experienced best-in-class solution provider of e-commerce web development. With a team of experts under one roof, UIPL is providing innovative e-commerce website design in India for 5 years. We have changed the buying experience with features that can speak volumes about your brand. We provide customized e-commerce website development to maximize usability, functionality and brand exposure. 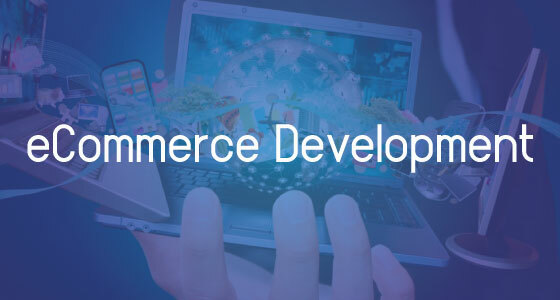 Our eCommerce web development company provides business-specific solutions understanding your requirements and create web store with features that compliment your niche. We have been working on hundreds of eCommerce projects and know what it takes to generate sales. With the use of responsive web design, our e-commerce websites are optimized for desktop, mobile, and tablets. From selling a product to subscription, taking payments to offers, our team develops custom designs, which makes your business PERFECTO! Flexible and user-friendly site navigation offering easy product browsing. Automated site navigation features such as Menu Navigation. Specific shipping weight calculator for each product. Support for multiple product images. Displaying products in prominent panels. Use of payment modes such as PayPal/Credit Card/Debit Card/American Express. Order confirmation emails sent automatically to customers and shop owners. Support for customer generated queries. Easy and simple invoice management. Modify product quantities directly within the cart. Secured database supported by SSL certificate. Reviews and ratings on products. Refined product searches by product name and price. Comprehensive shipping and Logistics system. Allow out of stock orders. Create and view sales report on best selling items or top-most purchaser. Flexible work-flow allows processing of orders from receipt to shipment. Simple entry of product and category meta-data to aid with site search. Simple visual management of product categories and subcategories, multilevel-categories.